Musicals have long been a cherished mainstay of American cinema and like any other genre of film, the trends that define it change as time progresses. However, even fans of the genre would admit that the glut of recent stage-to-screen adaptations have lost something in translation and left more to be desired. Writer/director Damien Chazelle must have been privy to this when he began developing his original musical La La Land in 2010 but despite his perseverance with the project, I doubt he had any idea that the result would be as stunning and downright delightful as it ended up being. La La Land wisely reunites Ryan Gosling and Emma Stone for their third time on screen together and as their chemistry was the highlight of those previous works (Crazy, Stupid, Love and Gangster Squad), it is the glue which holds this movie together. The two play a pair of relentless dreamers: Gosling an accomplished pianist named Sebastian who aspires to opening his own jazz club and Stone a struggling actress named Mia striving to break through the monotony of failed auditions to find her starring role. Through a series of chance encounters across modern-day Los Angeles, Sebastian and Mia begin to develop an affection for one another but their ambitions threaten to get in the way of their relationship. From a breathtaking opening number that already feels iconic to an ending that lives at the intersection of bittersweet and heartbreak, this is a film filled with so many consecutive creative choices that stack up in such a fulfilling way. Like any great musical, each new song and development of the score enriches the one prior to it and creates a breathless momentum that doesn’t seem sustainable but somehow makes the spell last the entire runtime. The experience of watching it was akin to watching a talented pitcher throw a perfect game: the possibility for error is so high that the ability to avoid it makes the experience that much more exciting. 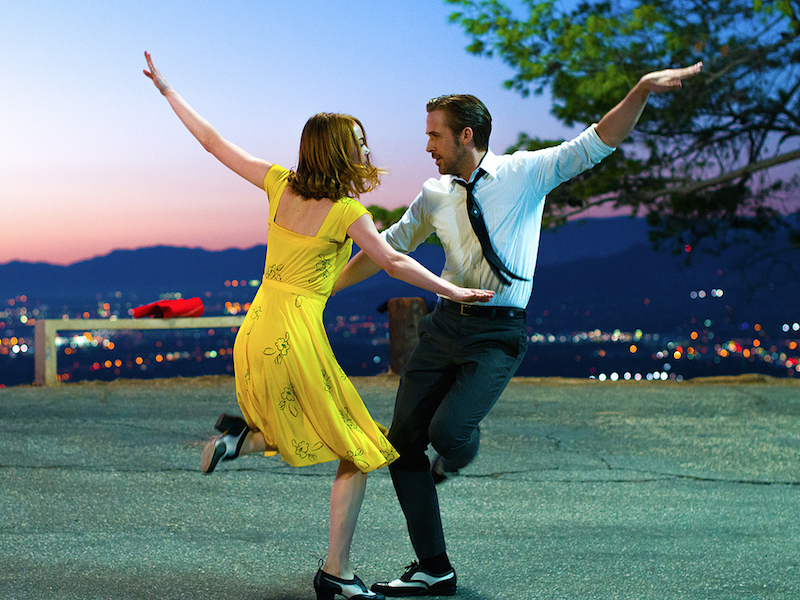 If I had to pick one aspect of La La Land that made it such an overwhelming hit for me, I would credit Chazelle’s knack for balancing the fantastical elements of classic musical fare with the more grounded insights into how young people navigate their way through modern relationships. There are countless influences on the style of this movie, the most obvious being the grandiose MGM musicals of the 1950s and the vivacious work of Jacques Demy in the 1960s, but Chazelle puts these touchstones through his own filter of longing and wistfulness to create something that feels a bit wiser and perhaps more timeless as well. Following a studio session, one of Sebastian’s band mates asks of him “how are you going to be a revolutionary if you’re such a traditionalist?” and the push-pull creative impulses of nostalgia vs. innovation pervade every inch of this film. Chazelle is working with quite a bit conceptually here but I don’t want to undersell just how effortlessly charming Gosling and Stone are in their lead roles and how utterly enchanting the original music is from composer Justin Hurwitz. Other technical aspects from the gorgeous lighting choices to the dazzling, dreamy camerawork from Linus Sandgren add pitch-perfect notes of sophistication to the wonderful affair. We haven’t seen a musical quite as grand as La La Land on the screen in quite some time and even those who aren’t partial to the genre owe it to themselves to discover what’s so special and unforgettable about it.